Grandmaster Marsh’s training in martial arts began with Judo in 1963 as a child of 4 years old living in Japan with his parents. He attended Japanese kindergarten and public schools , trained, tested and competed in judo tournaments until 1967. Upon his family’s returned to the USA in 1967, he continued his Judo training in Tennessee until their move to North Carolina in 1973. His Judo training ended as Judo was not available in the area. He continued training in a non-formal training regime with friends and other local martial artists until enlisting US Air Force in Dec 1976 as a Law Enforcement Specialist. He attended the Security Police academy and ongoing military training during his enlistment. Upon his honorable discharge, GM Marsh returned to North Carolina and continued an informal training regime. Master Marsh began studying and training in Tang Soo Do in 1989. Training 5 to 6 days per week 3 hours per day he and 2 of his sons were promoted to 1st Dan (Black Belt) and certified as an instructor by Grandmaster Jae Joon Kim of the World Moo Duk Kwan Tang Soo Do Federation. Grandmaster Jae Joon Kim was one of the highest ranking Tang Soo Do practitioners in the world (Dan # 38). As a student of Grandmaster Jae Joon Kim, and GM Saul Kim, Master K. Marsh was promoted through the rank of 6th Dan. Upon the death of GM JJ Kim, GM Marsh and his students transferred membership to the MUSA Kwan Tang Soo Do Federation under GM Greg Boliard. GM Marsh was tested and promoted to 8th Dan Grandmaster (Kwan Jang Nim) in May 2018. GM Marsh and his instructors are certified through the MUSA Kwan Tang Soo Do Federation to ensure techniques and standards are consistent with those teachings of Grandmaster Jae Joon Kim and Grandmaster Greg Boliard. Although GM Marsh has been nominated to the “Hall of Fame” by several martial arts organizations, he has declined acceptance due to his commitment to focus on the growth of his students rather than himself. 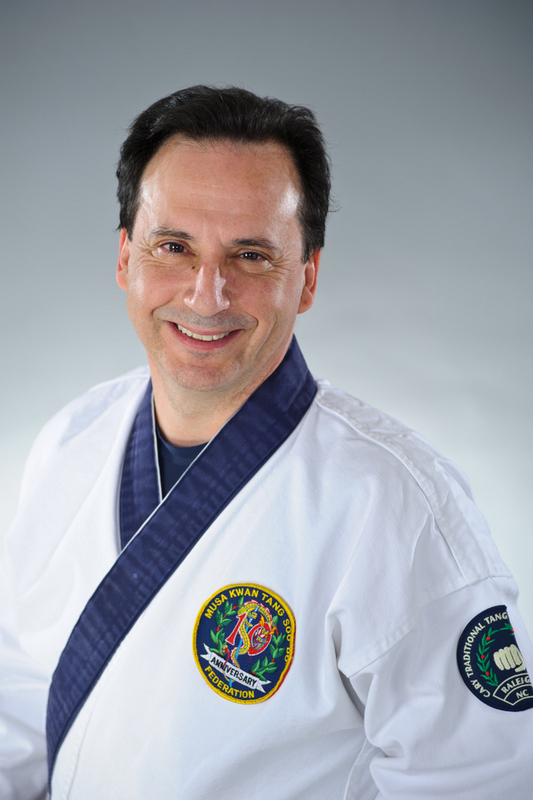 He has enjoyed sharing the art of Tang Soo Do as a perceptive, encouraging and generous instructor for over 25 years. Due to his wishes, Cary Tang Soo Do maintains the responsibility to provide a high standard of martial art instruction in a non-commercial and safe environment. GM Marsh is also considered somewhat of a renaissance man by his students. He is a successful bee keeper, gardener and skilled handyman – and is always willing to share his interests with his students.